Governor Bruce Rauner and the Illinois Department of Natural Resources have announced the expansion of Starved Rock and Matthiessen state parks by over 2,600 acres. 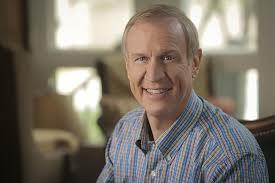 Rauner says the two parks are some of the most popular in the country. The land was purchased by the IDNR from Lone Star Industries-Buzzi (BOOT-zee) Unicem (YOON-ih-chehm) for $11-million. The money comes from the state's Open Lands Trust Bond Fund which is used for purchasing land. The land was used primarily for limestone mining. Most of the mines are now closed. It's situated in between Matthiessen State Park and the city of Oglesby. IDNR Director Wayne Rosenthal says the next step is to survey the area to see what grows and what animals live there. After that new trails, camping areas, and parking lots can be planned. Starved Rock Site Supervisor Kerry Novak says it'll be a few years before the new section of the park opens to the public.